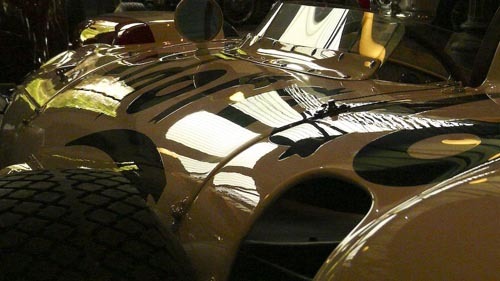 We were in the area for a few days and targeted visits to four priceless car collections. The obvious ones were the enlarged Galleria Ferrari and the fairly recent Centro Eccellenza Lamborghini down at the Lambo factory. These are deluxe expositions glorifying some of the shiniest examples of what Maranello and Sant’Agata Bolognese have produced over the decades. Both are quite expensive in comparison to the relatively small collection of cars on display but it’s just about worth it in case you’re not merely a nostalgia-prone old fart and proud of it. The photogenic modern architecture of both museums offer an ample amount of angles in which to cadre its desirable objects and if you are the proud parent of a supercar-crazed teen-age son you’ll have a great time by simply looking at the rosy out-of-breath excitement on his cheeks, running as he does from one automobile extravaganza to the other. The same will apply to a wife dreaming of being the proud new owner of a glamorous red barchetta. 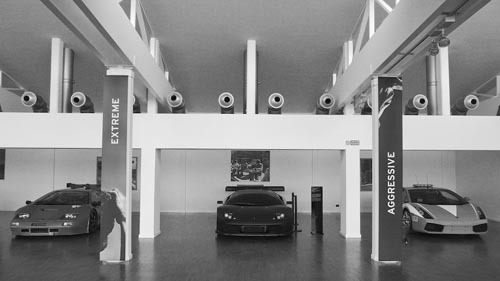 The Lambo museum will lessen the weight of your wallet even more than the Ferrari gallery, but adds the fact that it’s located at the front of the factory. While there, you’ll enjoy the latest SV models rumble past as they drive off the production line to meet their new owners, who are welcomed at ‘the other gate’. What’s more, the factory is open for tours on many days of the year – but sadly not while we were there. There is sharp contrast with the Panini and Stanguellini collections. The latter is found in the back of the local Fiat/Alfa/Lancia dealership, which has been in Stanguellini family hands for ages. The former is located in a shed – a well-kept shed, one must add – on the yard of a parmezan cheese farm. Both are free to visit but it’s well advised to arrange an appointment in advance. If you do, you have the privilege of a personal visit, and both places are well worth it. The Panini family of cheese makers became famous for the soccer cards that have been collected by millions of schoolboys all over Europe. 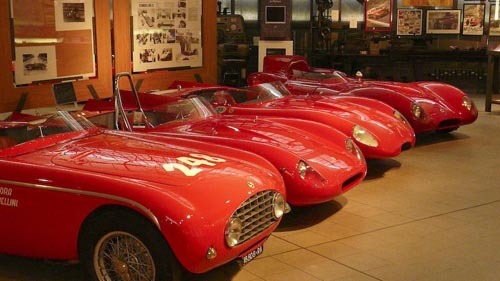 The huge success of these collectibles allowed them to start collecting things that have a rather higher piece value – classic sports and racing cars, with a penchant for everything Maserati. Today, the family run Hombre, a brand of bio-organically farmed Parmigiano Reggiano cheese meeting the highest quality standards. You see the same meticulousness in the way the Collezione Panini is maintained. Each and every object is absolutely spotless, yet together in the warmth of the farm barn that is their house, the cars – and a handsome number of motorcycles as well, led by a couple of remarkable Maserati-built examples – ooze passion instead of cleanliness. The most breath-taking example of this is the Maserati Eldorado Special that starred in the hands of Stirling Moss in the phantasmagoric Race of Two Worlds at Monza in 1958. It's pure joy to circumnavigate this one-off creature forming such a strange blend between New World razzmatazz and Old World style. We met a former Maserati employee who had worked on most sixties and seventies models of the trident marque – from 5000GT to the Merak – and he told us everything he knew. He even grabbed his cell phone to try to arrange a visit to the brand new Maserati stabilimenti that very same afternoon. Of course he was rebuffed by modern management but we appreciated the gesture. Later in the afternoon he would meet up with two of his former colleagues, right there, to surround themselves by what they had once created. That’s what Italians are so good at – enjoying what they together have achieved and talking well about it. 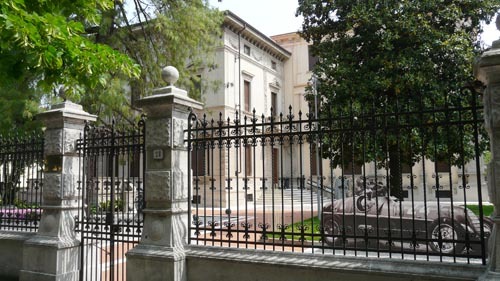 Modena is not just about cars – it can well be combined with a family holiday. Simply take Ferrari’s traditional testing route to Abetone in the mountains around snow-topped Monte Cimone. It’s littered with castles and fortresses from a very feudal past which can still be seen in many Italian ways today. Even though Maranello is not the prettiest of towns, it has its own castle, and many of the surrounding villages – such as Formigine and especially Vignola – are graced with extremely pretty historic centres, again with imposing fortresses as its centerpiece. To the north is the renaissance model town of Sabbioneta, which definitely deserves a visit. 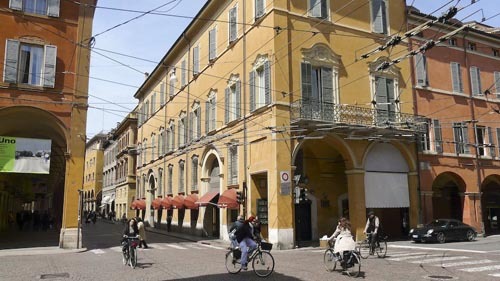 And Modena itself is an elegant and spacious city, with inviting arcades housing the best shops and cosy little bars. And with a bit of luck you'll spot the odd supercar as well! Driving some 35 miles further north will bring you to Mantua, where arguably the greatest racer of them all hails from: Tazio Nuvolari. The town and its automobile club honoured him with a museum quite some time ago, so a visit was long overdue. 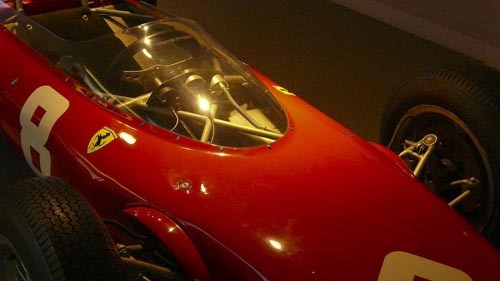 Sadly, we missed the news that the Museo Tazio Nuvolari had closed its doors for renovation on December 1, 2008. Indeed, when we arrived at its picturesque location at Piazza Broletto, right in the center of historic Mantua, an emptied building awaited us – with no signing whatsoever. A helpful policeman made some phonecalls to inform us of a new location at Viale Piave but there we were greeted with a closed iron gate. 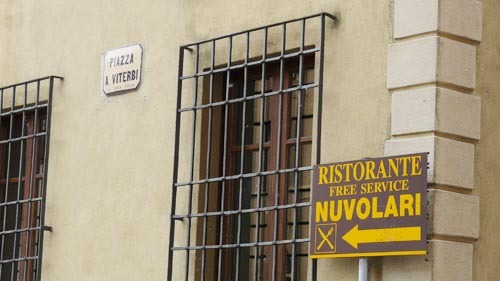 So the only things Nuvolari to welcome us to Mantua were the cardboard cutouts of enlarged photos of the Flying Mantuan, and a restaurant named after the ‘son of the devil’. Hopefully the museum will reopen soon.